Stunning CABIN IN THE WOODS! 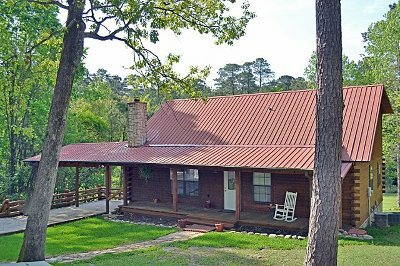 This beautiful log home has views of the golf course as well as all the beautiful scenery surrounding it. There is also a creek across the fairway you can sometimes hear. Home has recently been remodeled to include granite, double sinks in both baths, adding the 1/2 bath, new carpets and flooring, light fixtures and plumbing fixtures, some new wall treatments using corrigated metal and alot of addition to the exterior. Come take a new look at this wonderful log home!